Labelexpo Americas 2018 proved to be another successful event for Mark Andy and its global network of distributors. 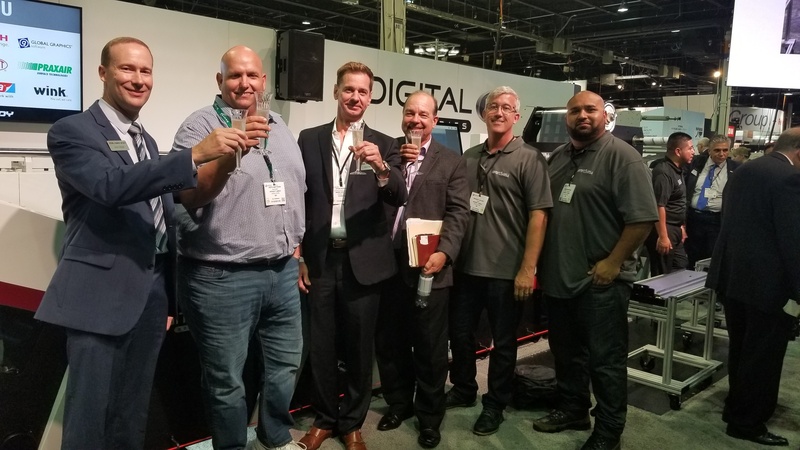 Unveiling new technologies in both digital and flexo equipment led to dozens of signed contracts on the show floor, including Digital Series HD hybrid presses, Performance Series machines, Digital One and several pressroom supplies orders. 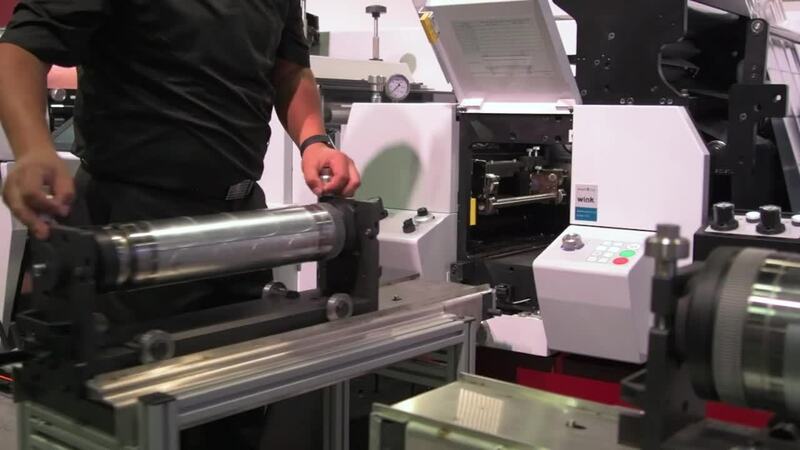 This year’s booth featured digital and flexo options from the press manufacturer, as well as inspection, rewind and finishing equipment from Rotoflex. 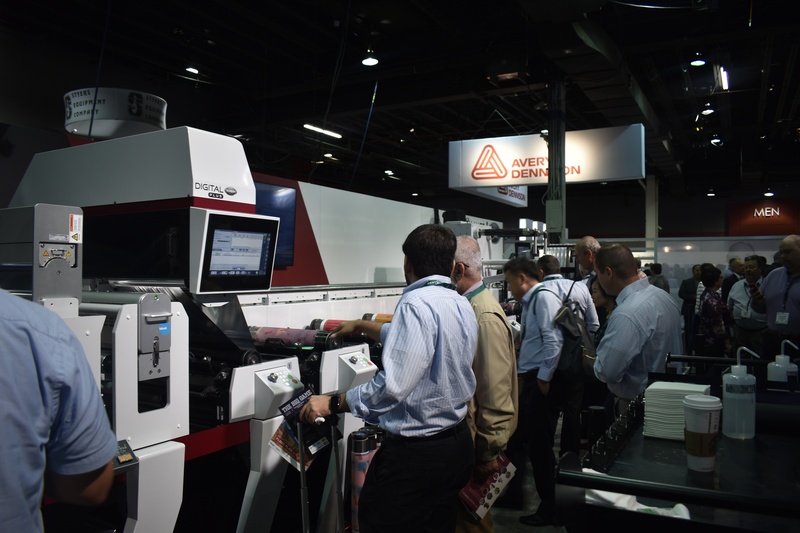 Live demos of the Digital Series HD and Performance Series P7E full-production presses allowed potential customers to see in-action the continuous enhancements of each machine. Digital One demos spanned throughout the day and drew large crowds to the booth as well. Building on Mark Andy’s 2017 FTA Technical Innovation Award win and industry-leading hybrid install volumes, the company was proud to bring the next installation in their Digital Series to the show for its North American Labelexpo debut. 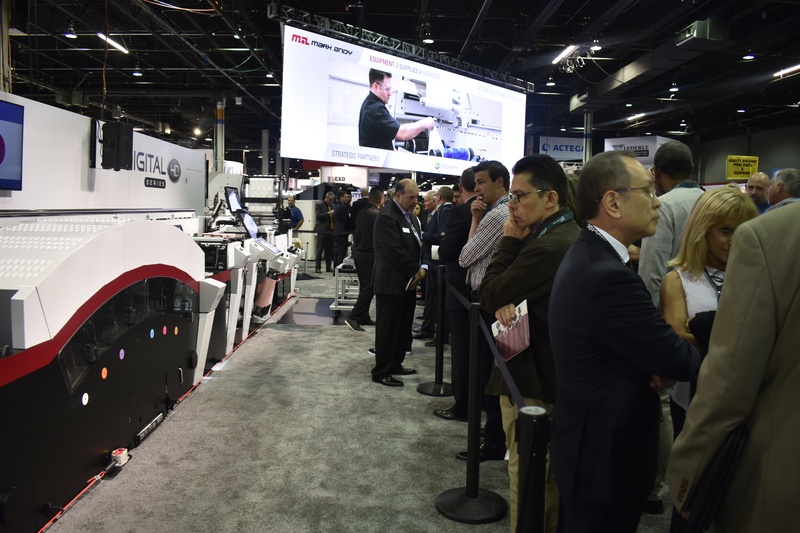 The Digital Series HD ran four different applications with a total of 23 SKUs on two different substrates, all under 15 minutes showcasing its true versatility, chosen specifically to impress attendees with the True Hybrid's widespread capabilities. On display during the live demonstrations was Mark Andy’s Live full-color VDP solution. This brand new technology - powered by Global Graphics - streams variable data directly to the press with no limitations on data, processing records or speed, and it comes with the same world-class service and support from Mark Andy’s prepress experts. Building on the success of their Digital Series purchase at Labelexpo Americas 2016, US converter Adcraft Labels ordered a Digital Series HD on the showroom floor. 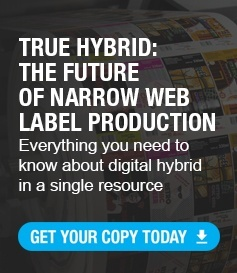 A few of the press capabilities that led to their decision is the hybrid functionality - offering web transport and flexographic printing, the digital printing and workflow, plus converting expertise all under one roof. The Digital Series HD allows for the highest throughput in the market while meeting the highest degree of print resolution. Mark Andy has developed a wholly-integrated single production unit. A True Hybrid. The introduction of the Performance Series P9E - available in web widths up to 26 inches - is set to cement Mark Andy as the best partner for the highest quality in flexible packaging and labels, offering solutions for shrink sleeves, bottle wrap and foil lidding with more ergonomic tool loading and industry-leading automation. 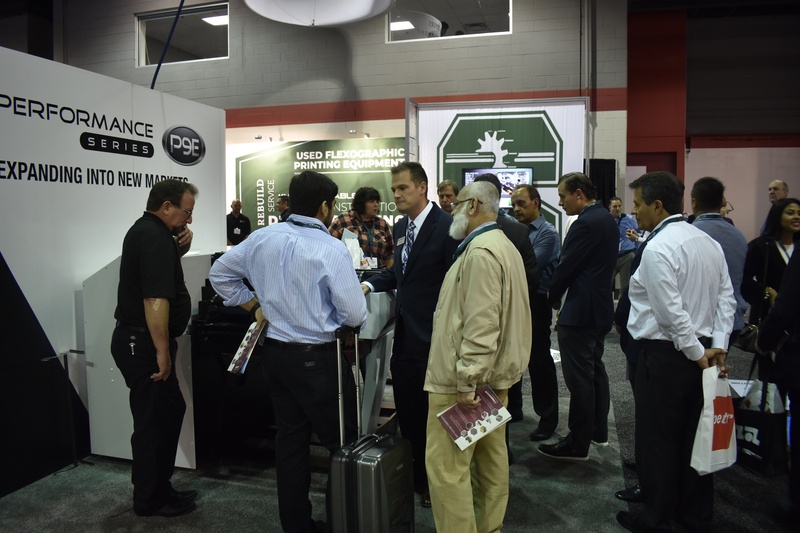 Attendees were able to experience the new press model with the interactive print stations on stand. Demonstrations of the enhanced Performance Series P7E were well-received by attendees during the three-day show. Four designated jobs were printed on the enhanced platform, showcasing a wide variety of applications and digital hybrid capability with Digital Plus Screen. Now available in 17-inch web-width and rail mounted to ensure flexographic compatibility, Digital Plus Screen serves as a digital inkjet replacement of expensive, traditional rotary screen. Utilizing the same printheads and ink chemistry as Digital Series HD, the Digital Plus Screen unit delivers richly pigmented output with the added capability of printing highly opaque white and fine detail in a single pass. 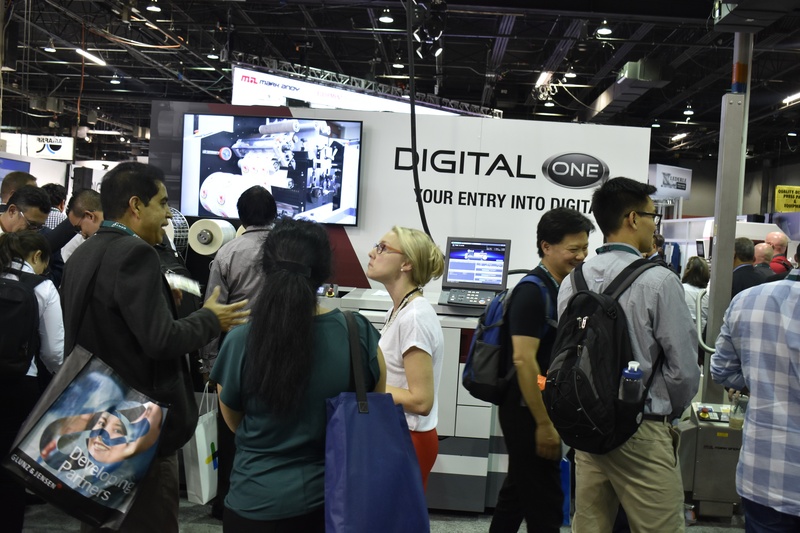 Celebrating over 100 installations of the Digital One, it’s no surprise that the entry-level digital label press brought in large crowds and numerous contracts as it continues to leave a lasting impact on Labelexpo attendees. Generating extreme interest, the Digital One continues to see success due to its versatility in its entry-level design, affordable price point and in-line finishing. The Digital One was running throughout the entirety of the event, showcasing its ability to be a lasting solution for converter and commercial use alike in the short run, just-in-time environment of prime label demand. Mark Andy would like to thank each customer, supplier, friend and Labelexpo attendee that took the time to visit our booth throughout the show. We truly enjoyed seeing you in our booth, whether during our Customer Appreciation event, before and/or after our demonstrations and everywhere in between. We hope to see each of you in Brussels at Labelexpo Europe 2019.